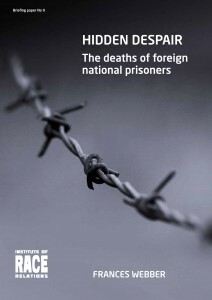 Hidden despair: The deaths of foreign national prisoners, by IRR vice-chair Frances Webber, examines recent suicides of foreign national prisoners in the UK, showing how the prison regime exacerbates the risk of self-harm and suicide through despair. 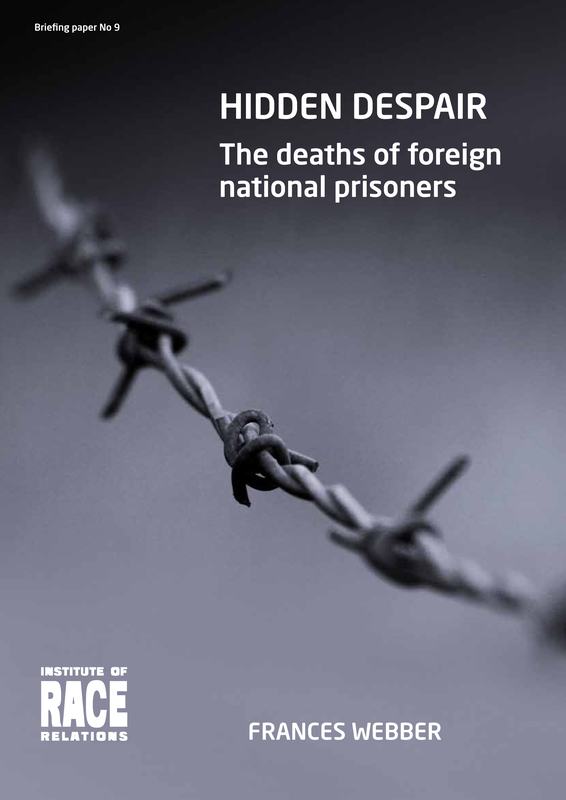 A full report of the IRR’s research into BME deaths in police custody, prisons and immigration removal centres, between 1992 and 2014, will be published in February 2015. Hidden despair exposes a catalogue of failure in the penal system: failures by prison staff to recognise the high vulnerability of some foreign offenders, especially young men; failures by immigration officers to communicate decisions, and failures to act on indications of suicidal intent.